The past few weeks, we have had an influx of visitors, as the sandhill crane population increased exponentially. A few stragglers still remain, but most have headed further south on their annual autumn migration. I will miss their prehistoric trumpet from the marsh as they winter Outside. 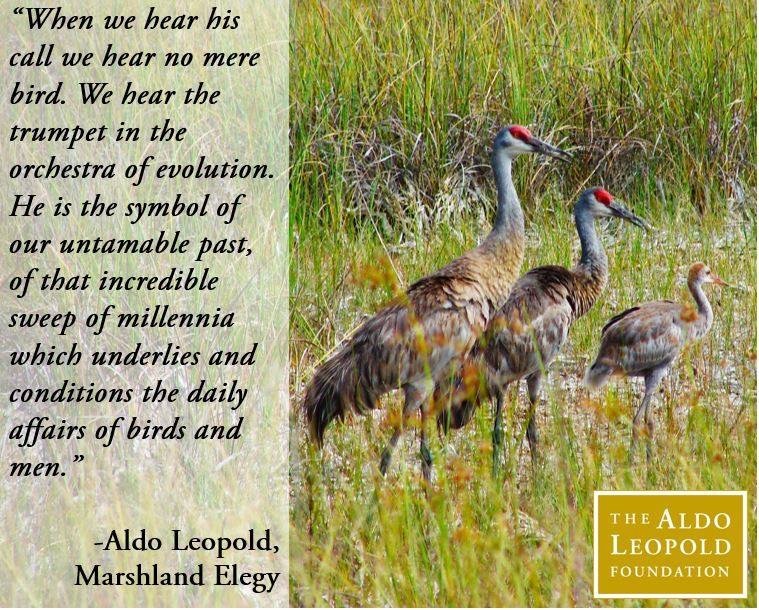 This entry was posted on Thursday, September 21st, 2017 at 3:40 AM	and tagged with Alaska, Aldo Leopold, hiking, photo, sandhill cranes, travel and posted in wildlife. You can follow any responses to this entry through the RSS 2.0 feed.